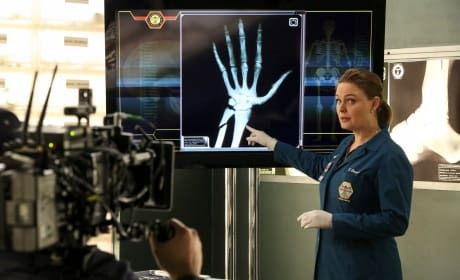 The team at the Jeffersonian is filmed while investigating a case on Bones. "The Movie in the Making" is the 18th episode of the show's 11th season. 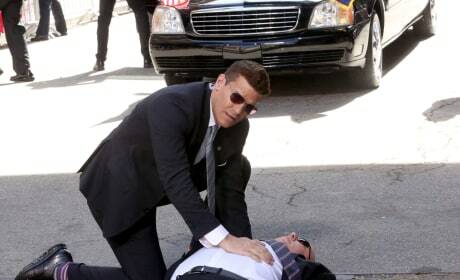 Booth is blindsided when the Secret Service won't help in the investigation of one of their agents on Bones. "The Secret in the Service" is the 17th episode of the show's 11th season. Aubrey's college experience may help with the investigation on Bones. "The Strike in the Chord" is the 16th episode of the show's 11th season. 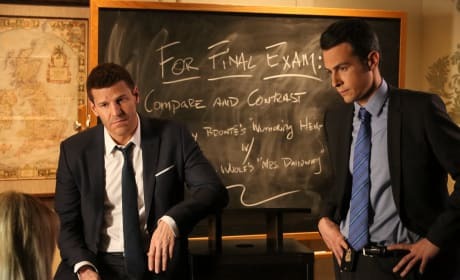 Booth and Brennan get Christine's first report card on Bones. "The Fight in the Fixer" is the 15th episode of the show's 11th season. 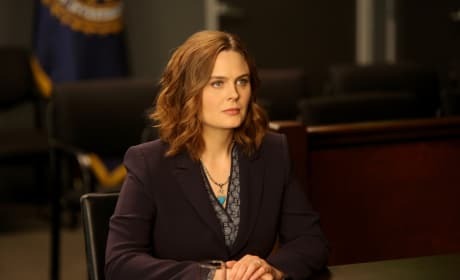 Brennan must answer for the assault of an unarmed suspect on Bones. "The Last Shot at a Second Chance" is the 14th episode of the show's 11th season. 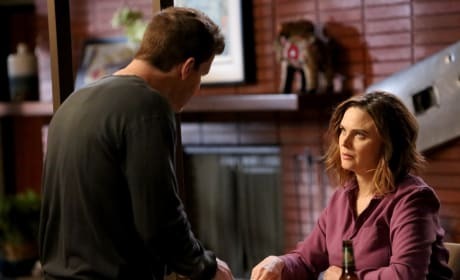 Can Brennan save Booth with her cell phone on Bones? "The Monster in the Closet" is the 13th episode of the show's 11th season. Booth worries that Brennan is a jinx to his beloved Philadelphia Flyers on Bones. "The Murder of the Meninist" is the 12th episode of the show's 11th season. 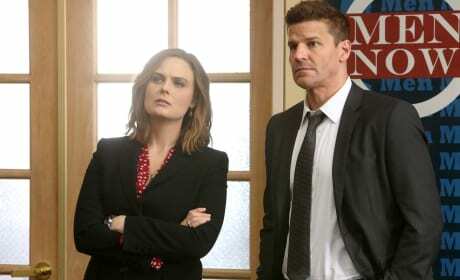 Booth and Brennan investigate the death of a public defender on Bones. "The Death in the Defense" is the 11th episode of the show's 11th season. 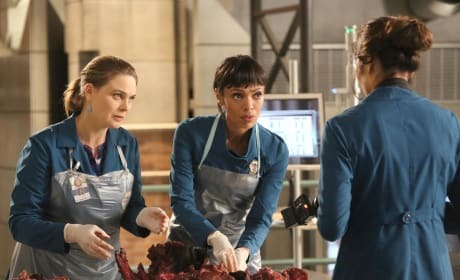 Cam faces a difficult decision in her personal life on Bones. "The Doom in the Boom" is the tenth episode of the show's 11th season. 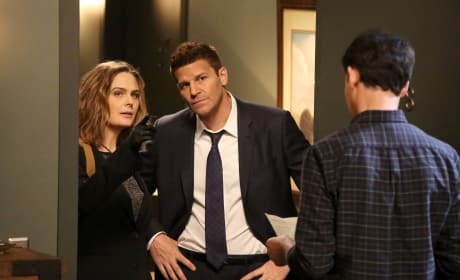 Brennan and Booth go undercover in a wild west themed shooting competition on Bones. "The Cowboy in the Contest" is the ninth episode of the show's 11th season. 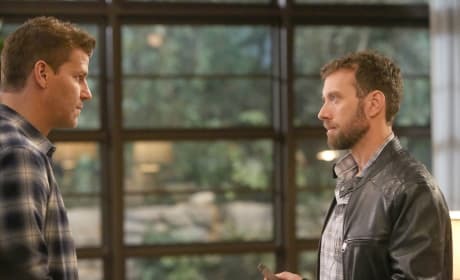 Hodgins becomes paranoid when they investigate the death of a journalist who was exposing corruption within the NSA on Bones. "High Treason in the Holiday Season" is the eighth episode of the show's 11th season. 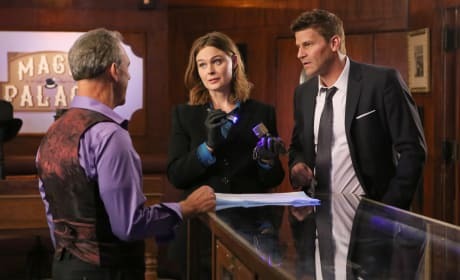 Booth and Brennan debate over the tooth fairy on Bones. "The Promise in the Palace" is the seventh episode of the show's 11th season.